Over the last few decades, Redwitz, Inc. has developed a strong base of non-profit entity clients. We have served major private high schools in Orange County, several private grammar schools, parochial institutions, low-income housing entities, foundations and fraternities. Redwitz, Inc. understands the nonprofit industry well and the multiple problems and opportunities facing these entities. We have an excellent knowledge of fund accounting, financial statement presentation and the disclosures required under this method of accounting. 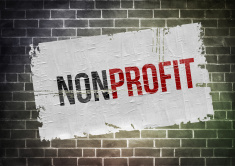 Redwitz, Inc. works closely with its clients to obtain and maintain nonprofit status within the complex constraints or the Internal Revenue Code.